Canterbury coach Des Hasler has launched a stinging attack on the professionalism of the NRL after he was forced to call-up a player less than 24 hours after completing a NSW Cup game. Rookie Reimis Smith answered an SOS to drive to Canberra on Sunday morning after Bulldogs centre Josh Morris was recalled back to Blues camp in Sydney due to Josh Dugan's sensational withdrawal. After watching his side go down 32-20 to the Raiders, Hasler likened the sequence of events to being back in the 1980s, and claimed the NRL competition seemed to play second fiddle to the Origin series. He also questioned whether the NSW medical staff had done its due diligence on Dugan's fitness. "If they don't learn anything out of today, whether it was the process that's from the Origin side of things, if the medical staff wasn't professional enough ... it's a tough one on an NRL side," he said. "And this is for anybody. They could've been in the same boat that we were, that at this day an age, in an NRL competition, it's almost as if it's second fiddle, which is not a good thing." 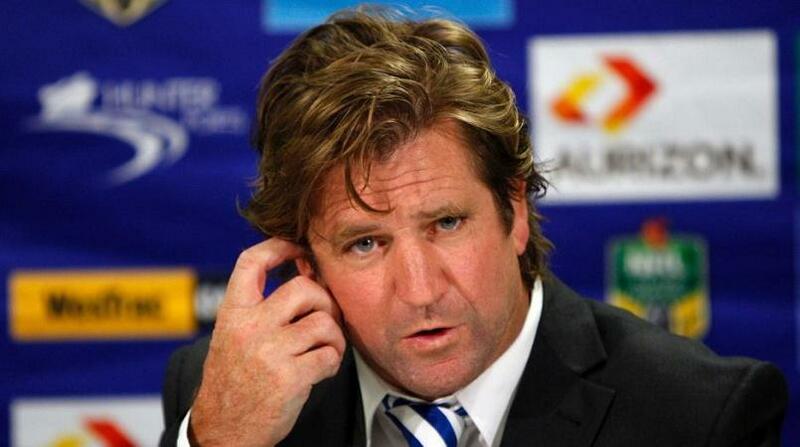 Hasler believes a player shouldn't have to back up in such a short timeframe. "There's too much investment of money and time for this to happen. Two competition points in the NRL are vital, but a player shouldn't have to do it," he said. "It's like going back to the 80s, isn't it? Let's hope they learnt something out of it." The two-time premiership-winning coach then suggested bringing in stand-alone Origin football. "Probably can't run two competitions at once," he said.